Epithelial-mesenchymal transition (EMT) is related to malignancy and metastasis in cancer. The molecular networks including tyrosine kinases are altered in gastric cancer (GC). This study aims to reveal the role of ERBBs (erb-b2 receptor tyrosine kinases) in EMT, and generate the molecular network pathway of ERBBs in diffusetype GC and mesenchymal stem cells (MSCs). The expression of ERBB genes was analyzed in MSCs and diffuse-type GC which has mesenchymal characteristics compared to intestinal-type GC. 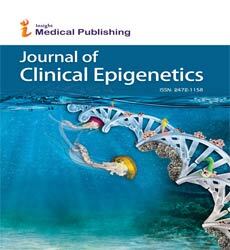 The signaling and molecular network of ERBB was analyzed using several databases, including cBioPortal for Cancer Genomics, Kyoto Encyclopedia of Genes and Genomes (KEGG), BioGRID and VaProS. ERBB2 and ERBB3 gene expression were up-regulated in diffuse-type GC compared to MSCs. The ERBB3 molecular network includes epidermal growth factor receptor (EGFR), cadherin 1 (CDH1), catenin beta 1 (CTNNB1) and EPH receptor A5 (EPHA5). These results demonstrate the importance of the ERBB network in cancer signaling, and revealed a ERBB3 network pathway model in diffuse-type GC and MSCs, and EMT.